Left handers of the world rejoice! After a long hiatus, a left-handed version of our best-selling Military Model is once again available. 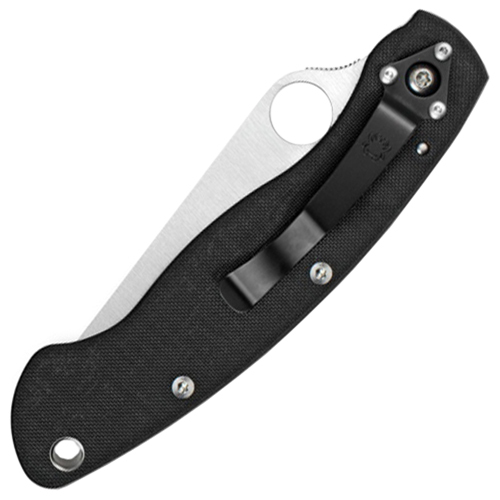 This unique knife proudly includes all the qualities and defining features of the standard G-10-handled Military, but in a perfect mirror-image format configured specifically for left-handed users. 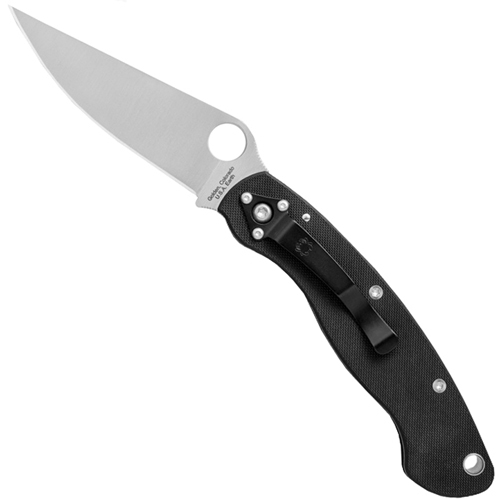 Its satin-finished PlainEdge™ blade is full-flat ground from CPM-S30V stainless steel and has an oversized, fully accessible Trademark Round Hole for swift one-handed opening. The blade is housed in a lightweight, open-backed handle constructed with textured black G-10 scales and nested stainless steel liners. The liners form the foundation of a sturdy Liner Lock mechanism specifically designed for left-handed operation. A tip-down, left-hand carry pocket clip completes the package to create the ideal cutting tool for lefties or righties looking for a dedicated support-side carry knife.